GALVESTON, TX (KTRK) -- As the fog lifted out of Galveston Bay, the Carnival Triumph finally returned home around 1pm on Thursday. Earlier this week, surveillance camera footage revealed a 54-year-old man went overboard. He was found in the Gulf of Mexico the next day, and now, Carnival officials say the man apparently jumped from the ship. Those on board the ship say activities were cancelled the night it happened and the staff asked people who were on the deck to remain silent as they searched for the man. "It was dead silent on the deck. All they wanted was silence, people all around the sides, just looking over, looking into nothingness," said Scott Byron, who spent Spring Break on the cruise with his family. "Earlier this morning we have been contacted by the Mexican Coast Guard reported that one of their vessels have recovered the body of our missing guest." On Tuesday, March 17, a Carnival Triumph passenger went overboard. The next day, a body was discovered. This is the second person to go overboard from a cruise ship in 2015. According to the website cruisejunkie.com, 246 crew and passengers have gone overboard in the past 15 years. That's around 20 people a year. 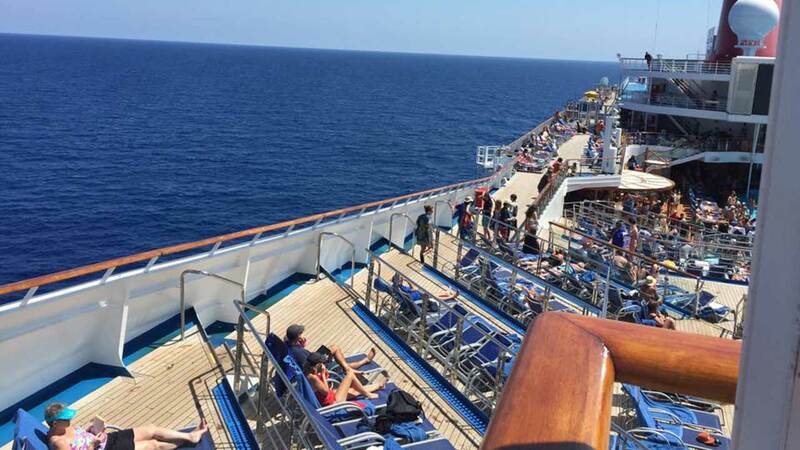 As a whole, the cruising industry will carry 23 million passengers this year, not counting staff and crew. Some experts say lives could be saved if more ships installed automatic man overboard detection systems. "They're incredibly sophisticated. They're not just a garage door motion detection system," says Jim Walker, a maritime attorney who has testified several times in front of Congress. "They track the person in the water once they go overboard, and it's pretty cool." However, Walker admits the system is expensive, and only a few ships have installed automatic detectors. Carnival did not respond to emailed questions about its safety systems Thursday. Passengers, though, seemed satisfied with the cruise ship's response. "I think they did it pretty quickly as far as I can tell," said passenger Kayla Kohnen.